Every room in my house has a diffuser in it. It seems that in every room there is a different need for it. In my living room depending upon the kids moods and attitudes, I may diffuse something calming to something a little more uplifting if we have bad moods. In my bathrooms during a bath at night I most often just like to diffuse lavender oil to kind of take down the whole mood of the house and get everyone in the relaxed mode. In my bathroom is where I have this diffuser and the best reason I did that is because of the different kinds of light that this diffuser has on it. I can easily have the diffuser in an intermittent mode and it runs about 6 hours without being on constantly. 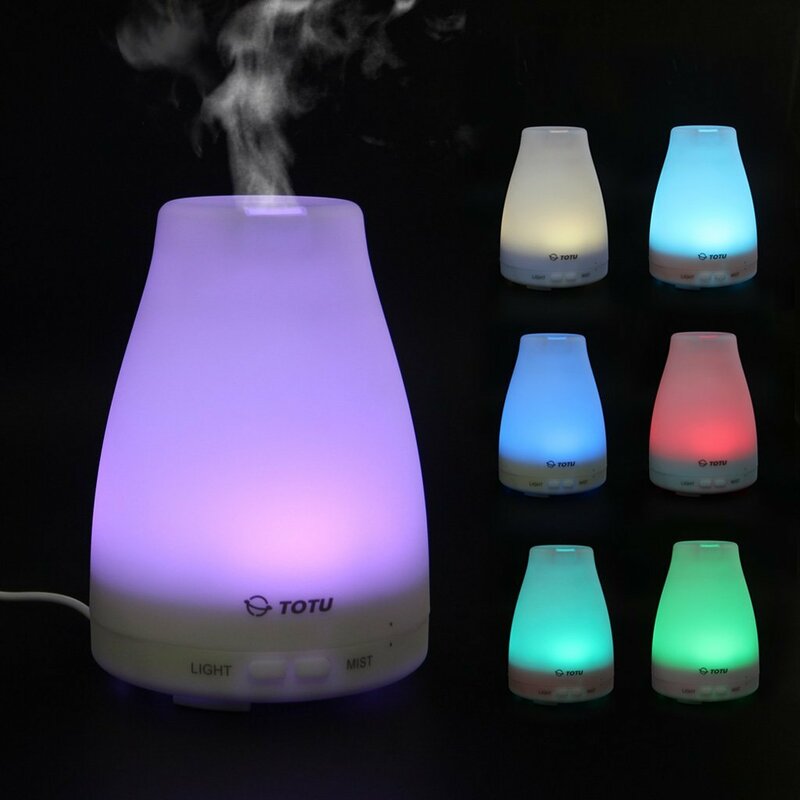 I have read many times that using a diffuser in this way is much more beneficial, rather than running it in a constant mode, as you lose the effects of the essential oils. You can clearly see how simple this is to work and how nice it is to have a great measuring cup to go with it so you do not over fill and have a complete mess on your hands. I really like that this diffuser has the different colored lights and is small enough to fit just about anywhere. It does not interfere with the decor in your room and nobody has asked me what is that thing? Some diffusers are large and obtrusive, this is just the perfect size and it does the job very well. I think that you will be more than happy to have this in any room in your home. If you use essential oils has a way to deodorize and keep your home smelling fresh, a diffuser is a perfect way to do that. It uses very little oils, the essential oils are much safer for you than scented candles or sprays you maybe using and you have the added benefits of choosing an oil that benefits your family as well and smell good. Next post: Corso’s Cookie Arrangements for Valentines Day!